As we mentioned yesterday, usually the first question you ask someone considering a Bible purchase involves trying to qualify which translation they might be interested in. The best way to ask this is, Who is it for? In other words, you want to be told as much as possible about the end user. Young or old? First time Bible reader? Other translations they own? Type of church they attend? Is English their first language? So today, rather than look at translations in those terms, I’d like to think of them in clusters. Evangelical Denominations – You’ll find many Baptists gravitating toward the Holman Christian Standard Bible (HCSB) and Reformers and Calvinists choosing the English Standard Version (ESV). The translation philosophy for both is somewhat similar to NASB, with a reluctance to make any risky changes to the text as many learned it in the KJV. Worth Noting – The Story is a Bible story book for adults showing the larger story arc of the Bible in a single narrative. The Kingdom New Testament is a NT written by popular Bible scholar N.T. Wright. And speaking of NT editions, people still seek out The New Testament in Modern English by J.B. Phillips. Unfortunately, in many respects this article is not as useful as yesterday’s piece about features, as if some of these are of interest, you’ll have to investigate them elsewhere. Passage comparison at sites like BibleGateway, BibleHub and Blue Letter Bible are a good place to begin. Hopefully this has at least helped you narrow down your search. Bible translation selection is both a science and an art, and many people have a lot of emotional investment in particular Bible versions. In many respects, perhaps it is better that we put the features explanations first, as you might want to simply select the features you want, and then explore which translations offer those particular editions. To review this material again, we did a similar article last year. In Part One we looked at the Bible as one of the most significant gifts you can give someone, and why it’s important to get the selection right. Today we want to help simplify the process of choosing features they might appreciate and use. Normally we might ask the translation question first, but we thought we’d do things differently just this one time. Well over 95% of the Bibles sold today are complete editions consisting of the 66 books in the Protestant canon of the Old and New Testaments (or if you prefer First and Second Testaments, or Former and Current Testaments) or the 66 plus a varying number of additional books used in the Orthodox or Roman Catholic churches called the Apocrypha or Deuterocanonical books. In other words, if you’re looking for a New Testament only, beyond a handful of presentation Bibles for babies and children you’ll find a limited selection, and if you’re looking for an Old Testament only, well, good luck. By the way, not every Bible containing these extra books is a Catholic Bible because in order to be considered one, it would need a sort of kosher seal on the copyright page known as an imprimatur. You can also purchase those books separately — the original KJV contained them — unlike the case with trying to buy an Old Testament by itself. You will find many Gospels of John however. This is rather strange because John is an argument for the divinity of Christ, but increasingly, that type of persuasion doesn’t work with postmoderns. You would expect more of the synoptic gospels (Matthew, Mark, Luke) to be produced now, but alas, we’re getting quite off-topic! A Bible without any additional features is called a text Bible, and if there are some cross-references listing recommended related verses either in a center-column, at the bottom, or at the end of verses, then it’s a text reference or reference Bible. Free of bells and whistles, these are usually the best-priced and most popular. You can save even more by buying into the volume print runs of pew Bibles, now sometimes called church Bibles. These hardcover editions are quite durable. However, my advice would be to avoid what are called gift-and-award Bibles, because by using cheaper (and therefore thicker) paper, they are forced to use a very, very small type font. Generally, an award Bible is something churches give out to kids or visitors they’re not sure they’re ever going to see again. If they know the child, usually they go for something nicer. Some of the most popular text Bibles often use the trade-style Thinline or Slimline. Introduced originally with more of the women’s market in mind, their style is also useful for pastors on hospital visits, youth workers at a campfire, and anyone else who doesn’t want to carry around a larger book. Also available are compact Bibles, but here you need to watch the print size, though Zondervan has a rather awesome NIV Compact Giant Print Bible that is a must-see if you’re shopping. This is probably a good place to pause and mention print size. What Thomas Nelson calls Giant Print on their NKJV editions is really everybody else’s Large Print. This is another instance where you are better off buying in person rather than online. Also, just because a Bible advertises that it used 13-point type, that doesn’t tell you what the leading (spacing between lines of type) is, you need to see that for yourself. And if someone is looking for larger print, you should avoid comparing poetic and prophetic sections (which often use much more white space) to narrative sections which are more normally paragraphed. Red-letter Bibles are by far the most common, but this is not an exact science. Did Jesus say the verse we know as John 3:16 or was that John’s commentary? Some people are divided on this issue. Does it mean those verses are more important? Isn’t all scripture inspired? Also appearing more frequently — perhaps sparked by The Message Bible — are editions stripped of verse numbers. Bindings vary in quality and cost along a spectrum beginning with paperback, then hardcover, then vinyl, then imitation leather, then bonded leather, and then fine or genuine leathers (including Moroccan, calfskin, etc.) Technically, many of the two-tone or duo-tone Bibles popular now are only imitation leather, but the quality and artistry of those covers has advanced to where you might pay more for those than some bonded leathers. Bibles which have been thumb indexed may be produced by the publisher and have a separate ISBN (i.e. stock number) or may be done by a bookstore or distributor as an after-market add-on. (Remember when Sears Automotive sold after-market air-conditioning for cars?) You can also decide later to add Bible tabs but this is a process akin to watch repair or untangling coat hangers and is best done by the very patient (i.e. wives, mothers and girlfriends.) While you’re buying your tabs, you might as well go nuts and buy some extra ribbon markers. Parallel Bibles are text editions containing more than one edition, usually side-by-side on the page. Full Bibles are usually 2-translation or 4-translation, but Hendrickson has a nice 8-translation New Testament in hardcover which I really like, but don’t own. (Yet. I’ll send them a copy of this!) There are some very interesting combinations available that blend different translation styles (see part three of this article). There are also a specialized form of parallels called interlinear which weave the original Greek and Hebrew language texts (and often other features) on the same lines as the English translation used as a base. Devotional Bibles are really two books in one. They contain a year’s worth of devotionals usually for a target audience such as men, women, people in a recovery program, teens, etc. You can expect at least 310 devos (often the weekend reading is combined) or 366, but you’ll pay less than if you bought the two items individually. Study Bibles contain supplementary notes. Sometimes the same notes are made available in a variety of translations; so the Life Application Bible has NIV, NLT, NKJV editions. I sometimes tell people that the NIV Study Bible takes us back into Bible times where as the Life Application brings the Bible into our times. That’s a bit simplistic, but helps you see there are different approaches to what type of things get annotated, not to mention different uses of charts, diagrams, the inclusion of longer articles, and even what gets defined as a study edition to begin with. As with devotional editions, there are now a wide variety of study editions produced just for kids and teens. Certain study Bibles are also tied into the teaching ministry of different pastors, TV preachers, authors and ministries. Sometimes these are sold in bookstores and sometimes they are only available through the ministry organization concerned. Presumably, the notes are derived from the individual’s other notes or study guides, but sometimes it just means that the person named on the cover merely vetted the creation of a special study edition. You never know for sure. I am not a huge fan of the One Year Bible genre (a Tyndale Publishing trademark, if I’m not mistaken) as they can’t be taken to church or small group given the re-ordering of the material. The same is also true of chronological Bibles which often harmonize concurrent passages such as Kings and Chronicles or the gospels; you wouldn’t want these to be someone’s first (or second) Bible. As Yoda might say, ‘Mixed all everything up is.’ On the other hand, Tyndale keeps producing these at an alarming rate so maybe they know something I don’t. I think their appeal tends to be regional, and I don’t live in that region. Confused? I hope this is more helpful than bewildering. Even as you read this, executives are sitting in board rooms dreaming up new Bible editions for 2015. There are no limits to the imagination. In The People’s Bible, Zondervan did a turnabout on the red-letter concept, and using data from BibleGateway.com, they put frequently sought-after verses in larger type, with a total of about six font sizes. With The Voice translation, you get a delightful dramatic reading of the entire Bible. Speaking of drama, Bibles on CD usually come in dramatized readings (sometimes complete with a celebrity cast of readers, not to mention sound effects and often a musical score) and straight narrative readings. We end this discussion where we began, because while you can get New Testament-only audio Bibles, you’ll find getting an Old Testament fairly impossible; so make that initial purchase carefully. Part Three: Navigating the various translations. 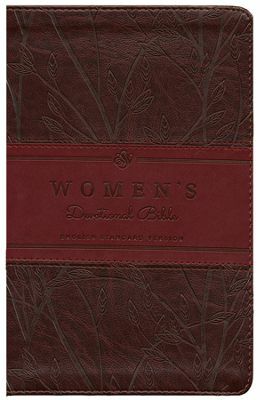 ESV Women’s Devotional Bible in an imitation leather format. 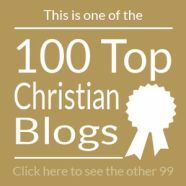 With Christmas coming I thought we would launch into a short series on Bible purchasing. This part is the shorter of the three, in the second we will look at editions and formats and in the third we might brave the thorny subject of translations. A Bible is a very meaningful and personal gift. On the other hand, a Bible which is a keepsake or meant to mark a significant occasion might get put on a shelf or in a drawer and never get used. You really don’t want that. So a fine leather Bible worth over $100 may seem too nice to use or the recipient might be fearful of something happening to it and be intimidated to put it to practical service. It’s true that the person you’re giving it to may already have several Bibles. Knowing what they already own and use is critical. You might want to share something recently published knowing of their affection for various Bible translations and formats, or you might want to make it personal and share a particular type of Bible that has meant a lot to you if you have a close friendship with that person. If the person has never owned their own copy of the scriptures before, buying someone their first Bible is a very important act. You want something that they will be able to settle into comfortably, use often, enjoy, and find easy to understand. More than any other aspect of the Christian publishing industry, Bible purchasing is where you are most likely to make a mistake if you purchase online. 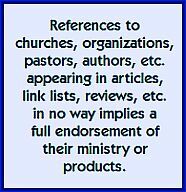 I know I have a bias here, but you are better served when you can actually touch/handle/examine the product in a physical store and utilize the expertise of Christian bookstore staff, many of whom have had to take a Bible sales training course from one of the major publishers. So your ideal source is a Christian bookstore, not Barnes and Noble. The other advantage with this is the ability to exchange the product over-the-counter if the gift is not suitable. (Be sure not to fill in the presentation page, put the person’s name on it, etc., before you know they are pleased with it and intend to use it.) You’ll also see a selection of products that you might never discover online. In the second and third parts of this we’ll look at two other decisions you need to make, but let me preview those now so you can be thinking about them. The first involves additional features the person might be helped by. This can include reading plans or devotionals to guide their journey through the scriptures, or study notes; but also includes superficial things such as print size or whether or not they are comfortable with a large, bulky Bible or need something more compact. The second thing is the issue of which translation of the Bible will be suitable and/or meet with their approval. (Notice that last word choice!) A number of factors influence this including their expectations or previous familiarity with the scriptures, or which translations they already might have had access to. I really hope you’ll consider giving Bibles this Christmas. The right one in the right hands — even if they have previously owned several — can result in a lot more engagement and passion about Christ, and better understanding of the story arc of God’s dealings with us from in the beginning to today. Don’t let anyone look down on you because you read The Message, but set an example for the believers in speech, in conduct, in love, in faith and in purity. Yesterday I had a conversation with an elderly woman who told me quite plainly that her Christian friends look down on her because she reads and memorizes verses in the Good News Bible (aka Today’s English Version). This should raise all kinds of red flags. First of all, it denigrates the translation itself. As BibleGateway.com‘s writeup states, “The GNT is a highly trusted version.” The American Bible Society continues to support the translation with fresh printings and formats. 4Who are you to judge the servants of someone else? It is their own Master who will decide whether they succeed or fail. And they will succeed, because the Lord is able to make them succeed. There are so many things one’s choice of translation doesn’t tell us about the person. How often to they read it? How much time do they spend in the Word in each reading? How are they allowing the seed of God’s Word to take root in their life? Why do we sometimes seem to want to judge? …l’homme regarde à ce qui frappe les yeux, mais l’Éternel regarde au coeur. In English, it would read that man looks at what “strikes the eyes;” in other words first impressions and superficial indicators. But God is concerned with the heart. I got the impression that her “friends” wanted to present a caring attitude, but were perhaps looking for a vulnerability or a weakness because they possibly see her as more spiritual than they are, and by knocking her down a peg or two, they were elevating themselves. Still, in a “NIV versus ESV” Evangelical environment, it was nice to see someone voting for the Good News Bible. Although we tend to classify Bible translations as fitting into one of two categories — formal correspondence and dynamic equivalence — or a third category which is a combination of the other two; today, I’d like to propose a different way of understanding what is currently on the market in terms of clusters. 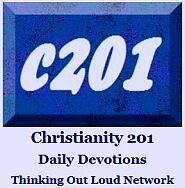 New Century Version (NCV) — Its simplified reading level allows you to read faster, and pick up macro-themes. Though it’s also the International Children’s Bible, it reads and was written for adults. New International Version (NIV) — You could argue that without Zondervan’s aggressive push to see “a Bible for every age and every stage,” there wouldn’t have been the push-back of the King James Only movement. 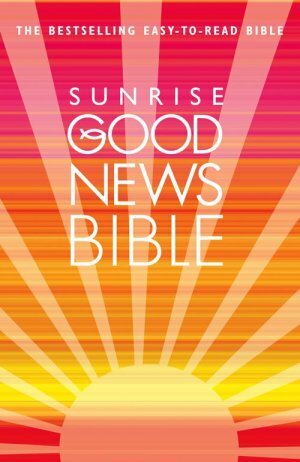 In 2013 (and as you’ll see again in 2014), HarperCollins Christian Publishing continues to offer creative ways to get people engaged in the scriptures. For the record, Zondervan — or parent HarperCollins, or Rupert Murdoch — doesn’t own the NIV, but licenses use of it from Biblica aka the International Bible Society. King James Version (KJV) — It’s been 402 years; enough already! The Voice — Puts the Bible in a dramatic script format, and adds some additional sentences to clarify the story. New Jerusalem Bible (NJB) — A Roman Catholic Bible which has an English edition that was translated directly from its French counterpart. New American Standard Bible (NASB) — Although once forecast to be for the North American English market what the NIV became, the NASB, through its more rigorous following of the formal correspondence translation method, is a more difficult read. It’s a reliable workhorse of a translation, often found in Bible Colleges and Seminaries, but not so frequently quoted in books or sermons anymore. If you write your own Bible translation, this is the one they’ll compare with you with, verse-for-verse.